In April 2013 the Government announced new funding of 150 million for Physical Education (PE) and Sport often referred to as a Sport Premium. This funding is to be used to improve the quality and breadth of PE and Sport provision. For the Academic Year 2017/18 the funding has increased to £16,000 plus £10 per pupil. We are proud of the current PE curriculum provision at our school and of the wealth of extra-curricular opportunities that we provide for our pupils. Sporting Clubs include; Dance, Football, Cricket, Rounders, Hockey, Cross Country, Tag Rugby, Handball, Multi Skills, Netball and many more. We also run a Young Leaders programme for our Year 6 and 5 pupils assist in the delivery of house competitions, and run lunchtime activities for our pupils. Intra-school competitions also feature in our school sporting calendar including Traditional sports such as Football, Tag Rugby, Netball and Cross Country and festivals to ensure all pupils in Key stage 2 have the opportunity to compete and the appropriate level. We have termly house competitions which end with our KS1 and KS2 Sports Days. This year we are looking to increase the variety of different physical activities on offer to all our pupils. We host several cluster inter-school competitions and support the School Games programme. Our school sports teams have regular fixtures with other local primary schools including A, B and C fixtures. Key Objective and anticipated benefits. A wider variety of coaches will be acquired to inspire all of our children to undertake before, lunchtime and after school sport; more children will participate in competitive and non-competitive physical activity. We have employed a specialist PE Teacher to increase opportunities of our pupils is to undertake P.E to ensure all pupils are engaged in positive experiences of Physical Activity. The aim is to improve the quality of teaching in order to make lessons more inclusive and to increase pupil progress. The specialist teacher will also provide whole school training to ensure staff are aware of the latest PE policies and to aid our own staff to aid staff development. We will replace and enhance our PE equipment available to all students so they can access different sports and activities to in order to improve specific skills in a range of sporting activities. We will be looking at more specialist equipment around gymnastics, cycling and scootering. Children will be enthused and motivated to participate in Physical Education and sport as a result of the new and suitable equipment that has been, and will be, purchased. 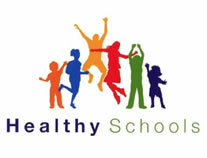 This will enable all children to fully benefit from this funding, therefore leading to active and healthy lifestyles. To create multi sports clubs in alternative sports in a fun and safe environment. To develop our young leaders to assist children who are disengaged from P.E and sport during lunch and break times. The funding will help develop a physical activity programme for our voyeurs group. Our children will have the opportunity to excel in their chosen sport, whilst some children will have the opportunity to experience competition for the first time. All children will have the opportunity to represent the school at a sporting fixture. We will aim to enter teams into all the local sport cluster events and independent competitions in the local area, e.g. tag rugby, handball, Danone 7’s, cross country etc. The school will sign up to the cluster PE gifted and Talent programme with the PE lead inviting pupils to the correct sessions to work with like-minded pupils across the Newport cluster. To further improve the teaching and learning of PE and ensure it is outstanding across the school by access training course as required by our staff. We will increase the number of minibus drivers so we can attend more festivals. The life skills of water safety and swimming are vital for our pupils to have before leaving primary school education. We will be offering additional swimming session to those pupils identified from our swimming programme who need additional support. EduMove is a revolutionary and exciting social enterprise and approach which uses physically active games to deliver academic objectives while promoting health via increased physical activity. All staff will attend CPD training on how physical activity can be incorporated into lesson to ensure all pupils are more physically active. A barrier to participation within the school is the lack of suitable sports footwear from pupils. The school will purchase trainers in a variety of sizes which will be loan out to pupils for PE, afterschool clubs and festivals as required on the discretion of teaching staff. Each class will be given a budget of £200 to spend on resources to help with Physical Activity during the lessons and break times. The pupils and teacher will decide on what they would like to spend to help meet the 30 minutes a day of physical activity target. This is a contribution to the cost of transporting pupils to and from events, competitions and festivals to help widen their aspirations and experiences in Physical Activity and School Sport. Please find the results of the KS2 swimming survey in the document below.